Extrait de CNBC News dans lequel Julia Boorstin évoque de nouvelles informations prochainement dévoilées sur Shanghai Disneyland. 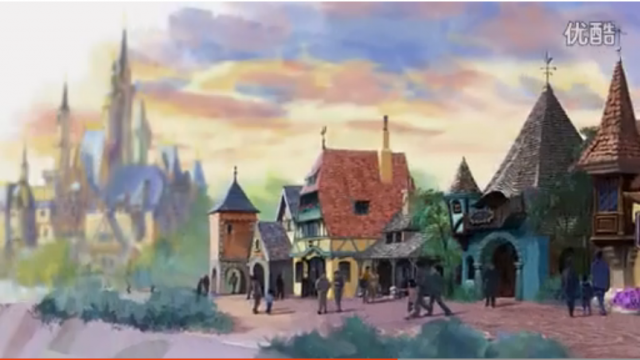 Voici les deux nouveaux renderings montrant SDL Fantasyland, en grand format. De nouveaux artworks sont très probablement à attendre de l'évènement qui aura lieu Mercredi prochain. 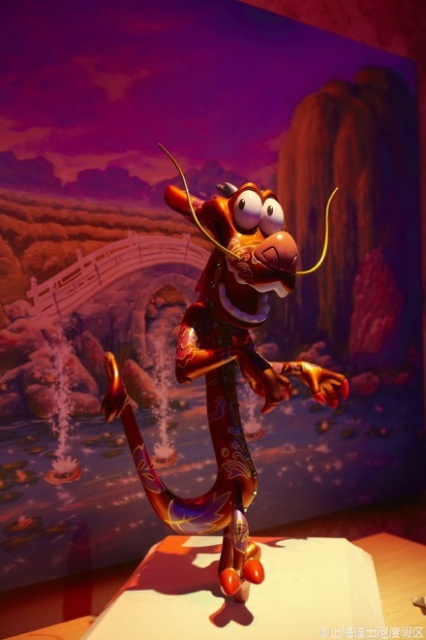 Image cnceptuelle : Shanghai Disney Resort. In this fairy-tale paradise, guests will float through familiar Disney stories on Voyage to the Crystal Grotto, a fanciful excursion making its global premiere at Shanghai Disneyland. This timeless land is for the young and young at heart, a place where fairy tales are born and live forever. Guests will, hitch a ride on the Seven Dwarfs Mine Train ­– in and out of tunnels glowing with dazzling diamonds – and take flight over the skies of London on Peter Pan’s Flight. They may also explore the Hundred Acre Wood with Winnie the Pooh or follow Alice through a dazzling Wonderland maze. • Maiden voyage: Voyage to the Crystal Grotto, an enchanting new excursion, is the first attraction to take guests underneath a Disney castle. Traveling beneath the Enchanted Storybook Castle, guests will discoveran original story and a magical world. • Inverted-coaster ride system: The flying sensation in Peter Pan’s Flight will be enhanced by a newly developed inverted-coaster ride system, debuting at a Disney park for this attraction. 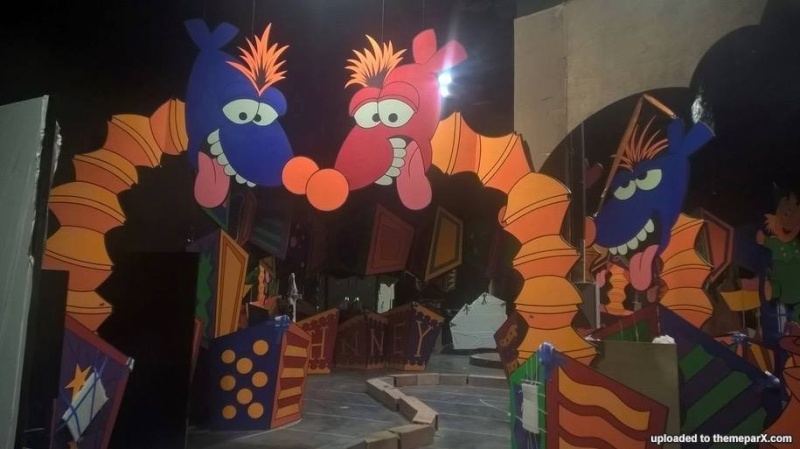 With new magic, the ride vehicles swoop closer to the action with varying speeds, enabling guests to become more immersed in the story as they fly in and out of each scene. Etrange que Disney ne le mentionne pas dans son descriptif du land. Il apparaissait pourtant dans les plans initiaux. Est-il annulé ? 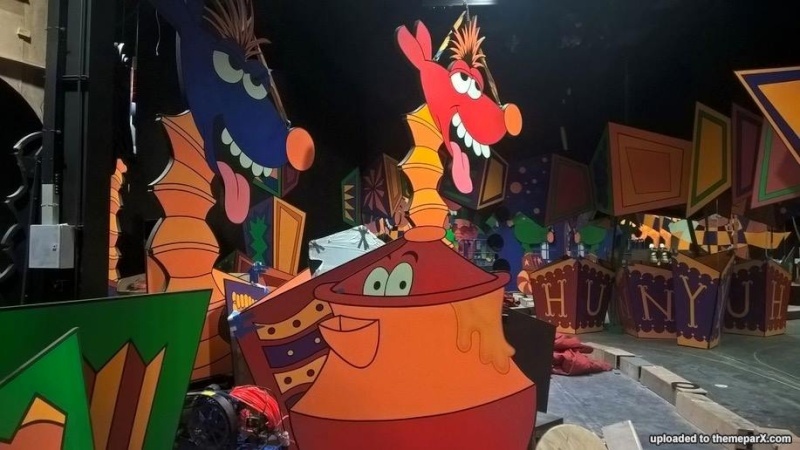 Ou bien gardent-il le mystère sur la version qu'ils ont copié TDL ou WDW ? Il doit s'agir d'un oubli .Le ride sera bien la. 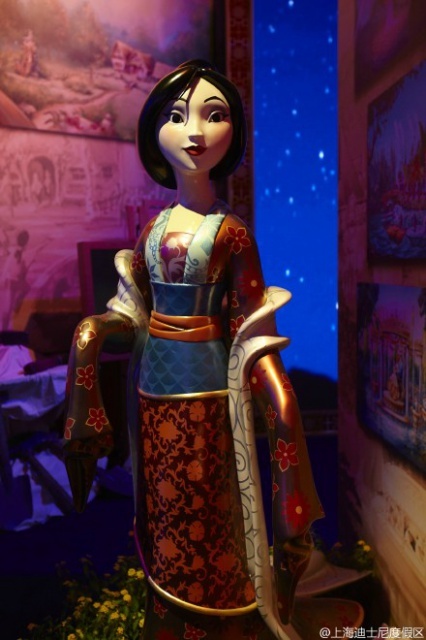 Note: il est possible que la scène indiquée ci-dessous comme inconnue ( "unknown") soit une scène "Wreck It Ralph". Ça a l'air magnifique surtout si de nuits ,ils ont l'idée d'illuminer les fontaines avec des jets d'eau lumineux colorés style Dreams au vue des concepts art ça m'a l'air possible et ça devrais être féerique . Un pays des contes fée 2.0 . 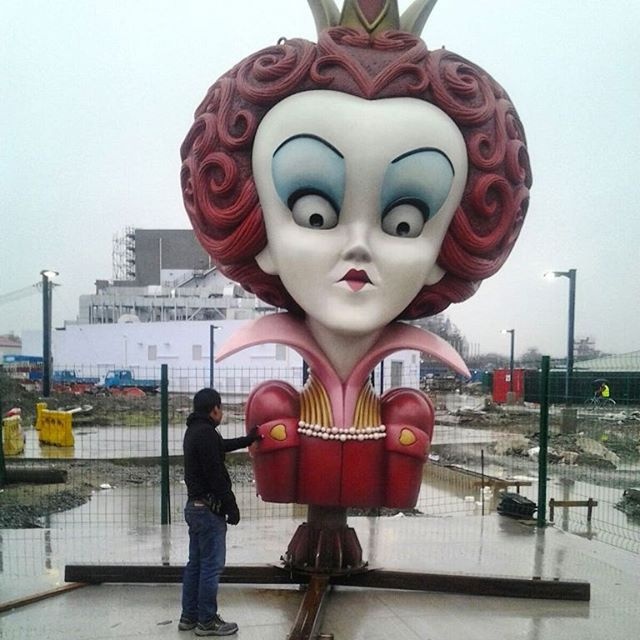 Oui j'espère que ce sera des animatronics et pas des satues/fontaines simples. 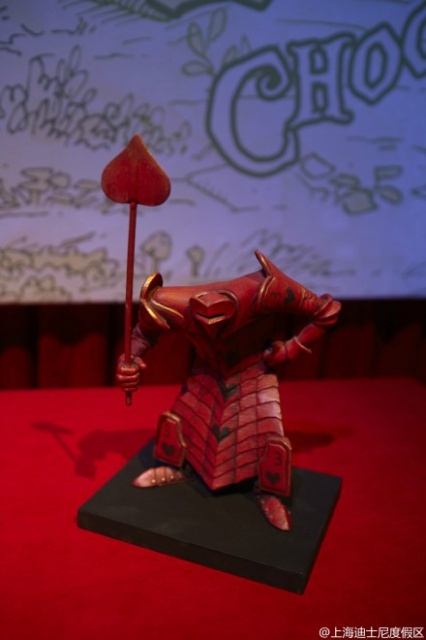 Nouveau concept-art également pour le labyrinthe d'Alice, une version qui sera inspirée par le film de Tim Burton et pas par le dessin animé, dixit la description officielle. Les Imagineers Wei Tingting et Lori Coltrin toutes deux temporairement détachées de Glendale pour le projet Shanghai Disneyland. 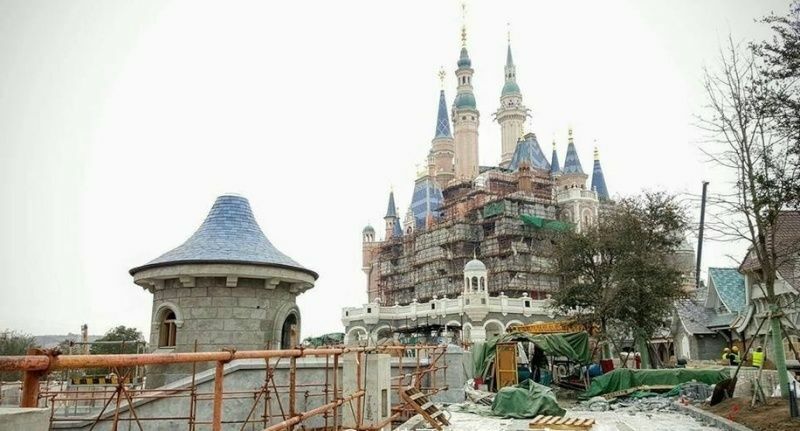 RIGHT behind the Enchanted Storybook Castle in the soon-to-open Shanghai Disney Resort sits Fantasyland, where Disney’s beloved films will be brought to life by a series of exciting attractions. 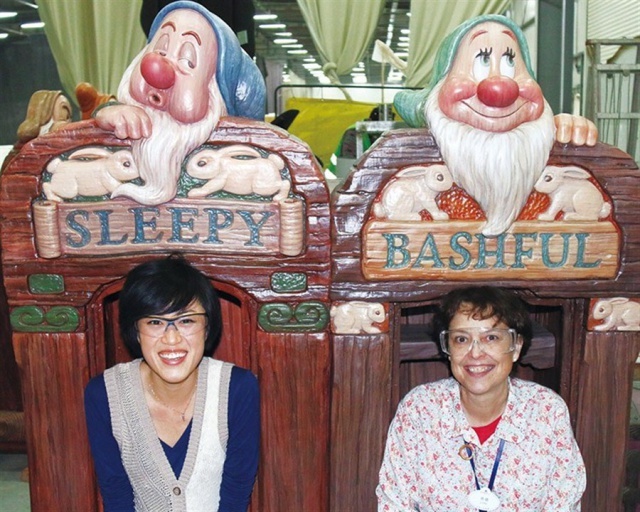 According to Lori Coltrin, Executive Creative Director of the themed land, and Wei Tingting, Fantasyland’s project coordinator, the goal when creating this enchanting land was to bring Disney stories to life for visitors at a destination that is both authentically Disney and distinctly Chinese. Disney designers took advantage of this layout to create one of the area’s signature attractions, Voyage to the Crystal Grotto. 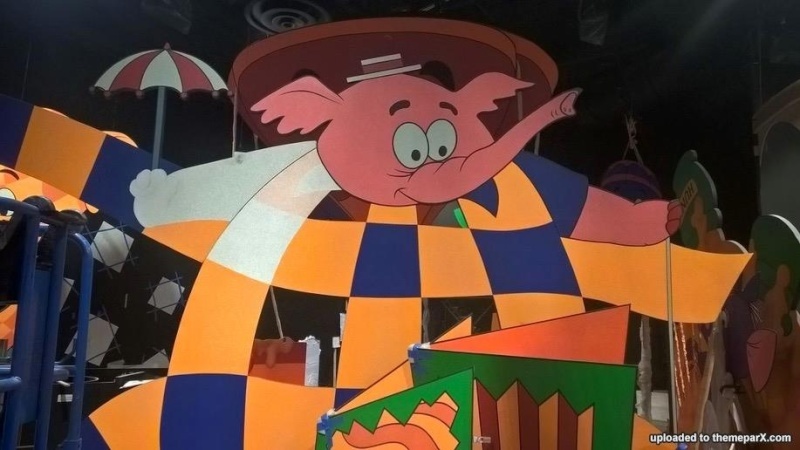 In this first-of-its-kind attraction, visitors can embark on a fancifulride down a waterway that leads to an underground chamber right beneath the enchanted castle. Along the way, they’ll take part in a journey celebrating classic tales of magic and imagination. “The experience is sure to inspire the dreams and imaginations of all who make this wondrous voyage,” said Wei. Another centerpiece of Fantasyland is Peter Pan’s Flight. Here, riders can sail through the skies over London and off to Never Land with Peter, using Disnely’s newly developed ride system. Riders will find themselves right in the action as they swoop and dive through the ride’s exciting scenes. A show based on the recent Disney hit “Frozen,” can also be found at Fantasyland. Visitors will also join Elsa, Anna and Kristoff from “Frozen” for a fun and warm-hearted interactive showcase packed with a flurry of stories, music and sing-alongs. 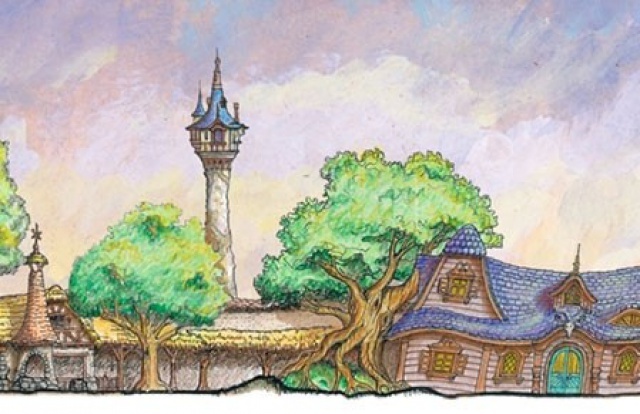 Located in the Fantasyland forest, there’s the Tangled Tree Tavern, inspired by the Snuggly Duckling, the pub featured in “Tangled.” Warped by time and the roots of an enormous nearby tree, the richly-detailed tavern is imbued with an atmosphere befitting the film’s colorful ruffians. Here, guests can enjoy a hearty meal in a lush woodland environment. Of course, like the park’s other themed areas, Chinese elements will be dotted throughout the land, waiting to be discovered. Having been with Disney for nearly two decades, Coltrin has worked at Hong Kong Disneyland, Disney California Adventure Park and Disney’s Animal Kingdom in Florida. “I started my job in the company as a creative designer, and I kind of worked my up to here,” she explained. 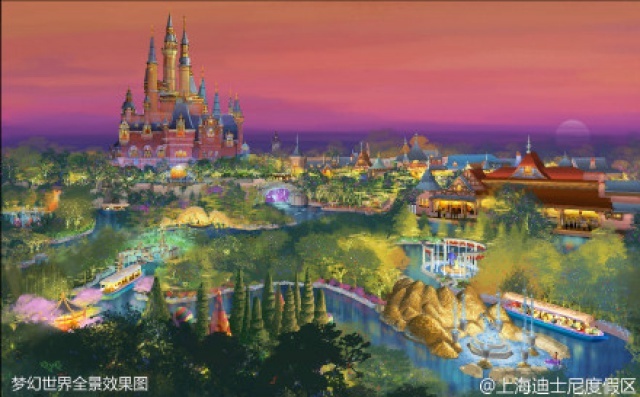 Meanwhile, the Shanghai project marks Wei’s first major theme park job with Disney. Born in Shanghai, Wei moved to the United States at the age of nine. 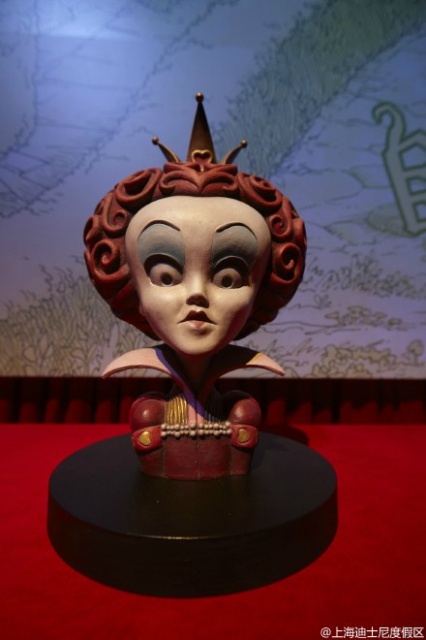 “It feels good that I can come back here again and share my cultural background with the team to design Fantasyland,” she said. Wei added that as a child, her mother worked hard to save money to take her to Disneyland in the US. 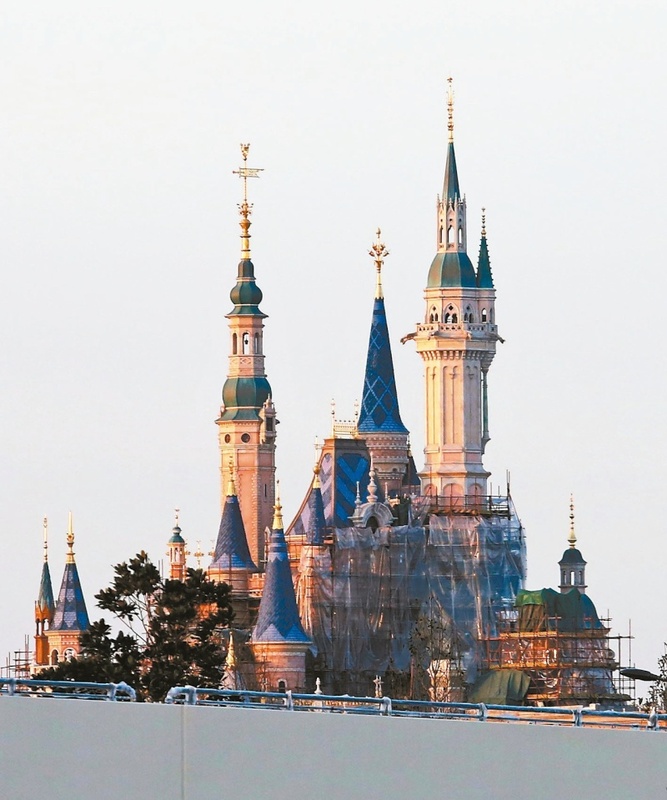 How would you describe your job at Shanghai Disney Resort ? Lori Coltrin : My job is to establish the vision for Fantasyland, and look into the design and concept to make sure they stick to the movies. 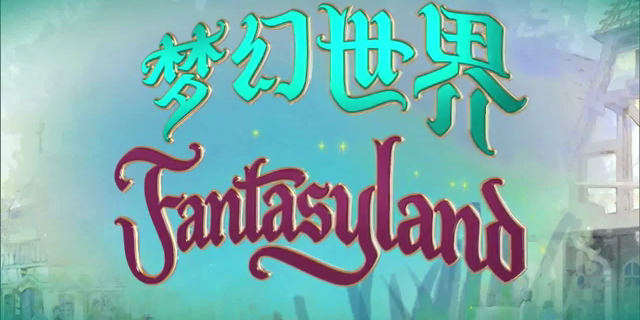 It’s like being a director for a movie, but just Fantasyland is our movie. Wei Tingting : Having been working on the project for five years, my current job is to stay in contact with everyone involved, including imagnineers, cast and vendors, to reinforce each other’s efforts. 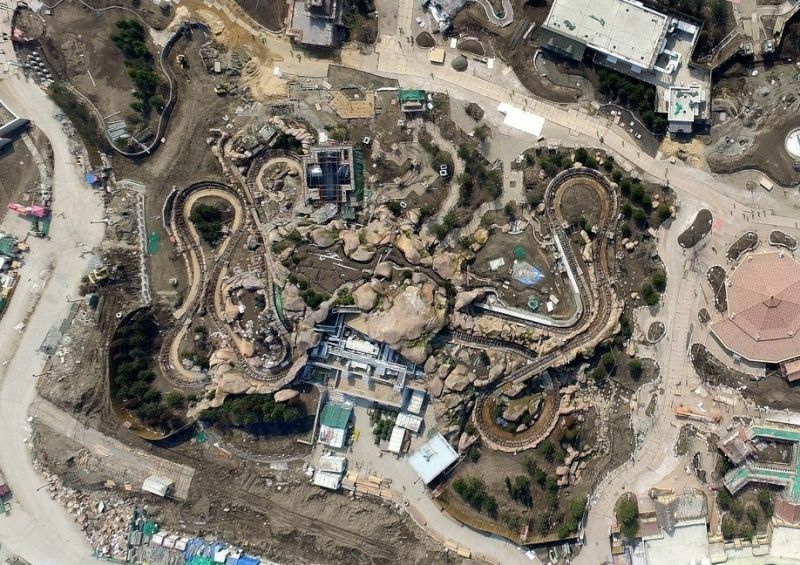 What do you think is the biggest challenge in designing Fantasyland ? 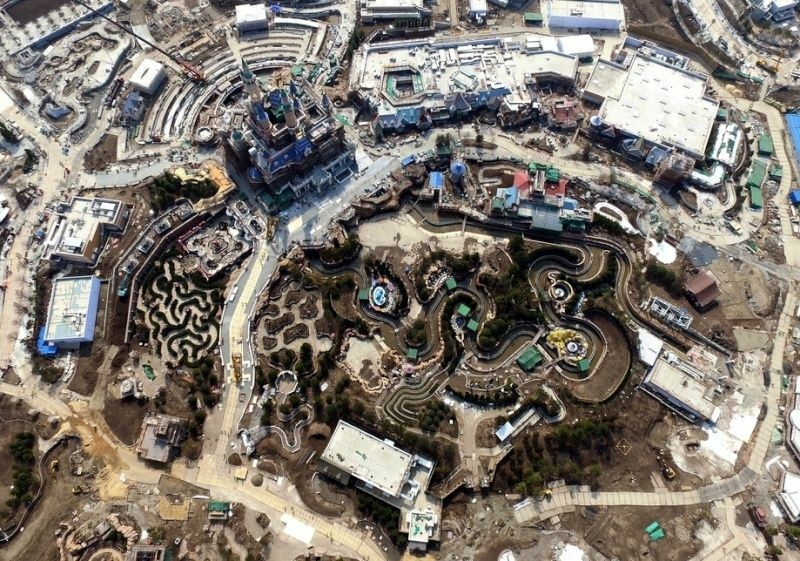 Coltrin : I think the biggest challenge is how vast it is, because it is the biggest Fantasyland Disney has created so far. There are so many different neighborhoods, architecture styles and so on. And I appreciate that we have such a great team working on it. Our teamwork and collaboration has been amazing. What is the best part about working for Disney ? Coltrin: It’s definitely the people. They are the ones keeping me going. Our commitment to collaboration, teamwork, and mutual success enables us to create magical and innovative experiences that only Disney can do. Wei : I think it’s knowing what the Disney brand means to the world and being responsible for doing the right thing in the right way. 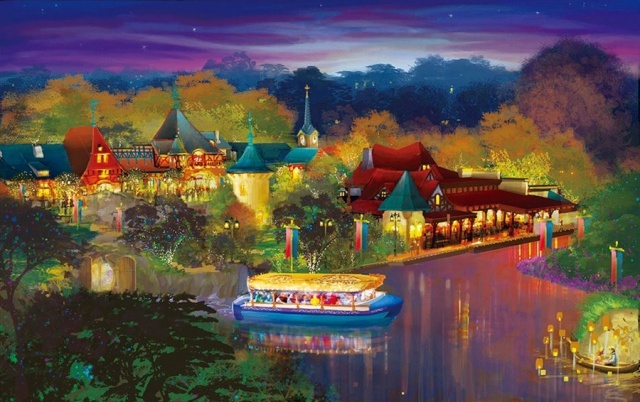 Concept art : Shanghai Disney Resort. (photo postée sur les réseaux sociaux par Teuku Alham Arinanda). Pétard c'est trop bon ! Vivement ! 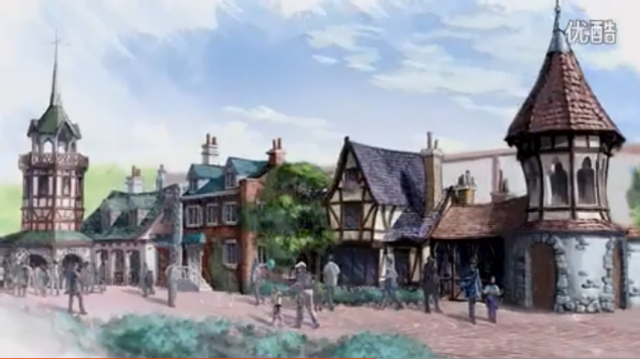 Sur Seven Dwarfs Mine Train, Est-ce que quelqu'un sait s'il y aura des changements par rapport à la version de Floride ?